The story of PlayStation Gear is full of twist and turns. The PlayStation-focused online store quietly disbanded back in July 2018 and was seemingly taken over by GameStop. However, a mysterious message popped up, promising “something awesome.” Now, we know what that “something awesome” is. The PlayStation Gear store is coming back, though we don’t have full details on what that will mean or when it will appear. We did, however, get the scoop on some sweet PlayStation merchandise. 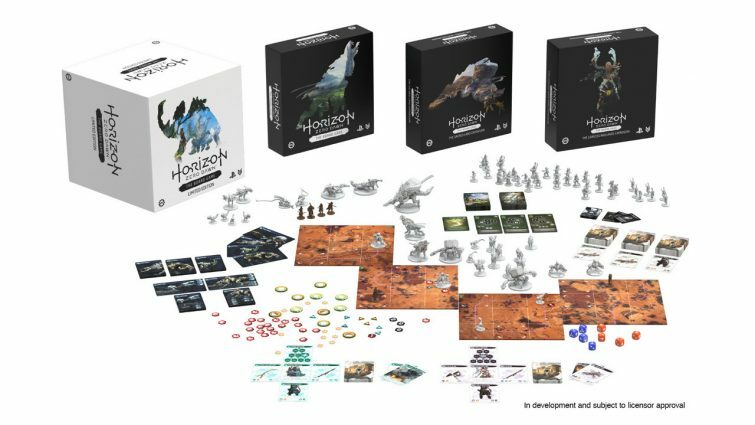 We got a quick look at the upcoming Horizon Zero Dawn board game, which is still in development. It’s currently in the middle of its Kickstarter campaign, though it’s already well past its goal. Of course, you can still help the game reach its stretch goals. The news also came with the announcement that Gary Barth is making an exclusive line of products for the PlayStation Gear Store. He has made products from some of PlayStation’s most iconic franchises, from Uncharted to God of War. Currently, he is working on a statute starring Deacon, the protagonist of Days Gone. No other details on possible products were given at this time, however. Outside of the PlayStation Gear store itself, we also got a glimpse at a demented statue featuring Sweet Tooth, the face of the Twisted Metal franchise. That statue will be coming from Gaming Heads. If you want to be the first to get your hands on some exclusive PlayStation merchandise, you can sign up at the PlayStation Gear website.